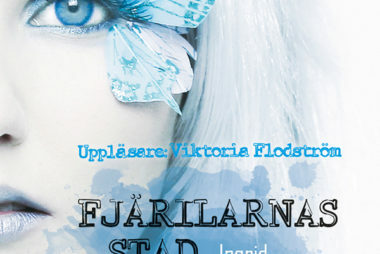 Kari Berg is the covermodel for “Fjärilarnas Stad”, a sci-fi novel from Swedish author Ingrid Remvall. Kari worked with the amazing photographer Nikdesign and makeup artist Hillevi Norberg to give life to the main character “Vega” and of course top it off with latexclothes made by the wonderful Christian Gschweng. Four brand new “never seen before” pictures of Kari have sneaked it’s way in to the latest issue of Teen Spirit Magazine. Look at page 59-60 and 63-64. You can also find Chester Bennington from Linkin Park in the magazine too! Read it here. Kari is featured in the fashion spread in the latest issue of QLTR. Kari was interviewed on TV4 Umeå about the fashion show at “Cityscenen” at Umeå Fashion Week 2013. Watch it on TV the coming days. She is shown in the beginning of the clip with a picture, walking on the catwalk and a short interview. The outfit is the one she designed together with Tomas Ponga.